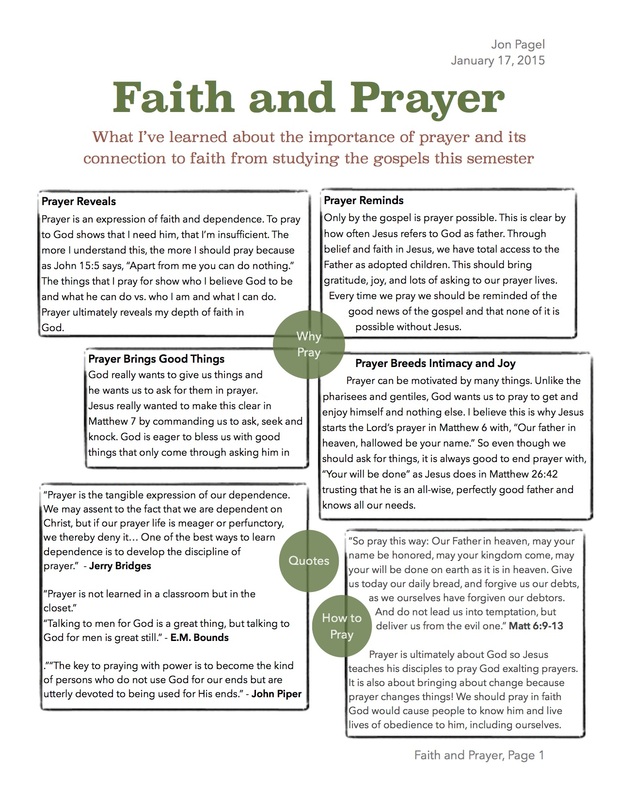 What do the four Gospels say about faith and prayer? Our Nav staff team here at CSU tried to find some answers to this question last semester. We looked at over 60 passages and the following document I made expresses some highlights from the study. Faith is an act of trust or dependence upon God and it manifests itself mainly through prayer. I’ve been convicted because my lack of prayer life shows my lack of need and dependence or faith in God. I’m self-sufficient, independent mess that needs Jesus every day, ever minute whether I recognize it or not.